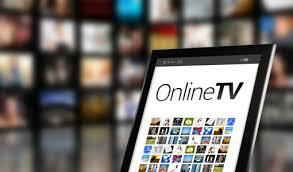 Internet TV (OTT) The Basics | TvStartup Inc.
Tvstartup allows you to broadcast your content to the world in the same way a Traditional TV station does but on STEROID'S. - Your playlist(s) will play on time because you can create and schedule your playlists based on your local time zone. - Its easy to run your station cause you can schedule playlists months in advance. 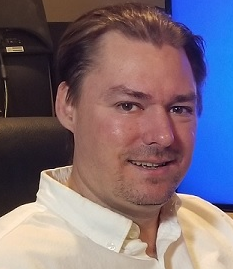 - Give Viewers with slower internet connection speeds the access to you channel using adaptive bit-rates and give viewers with faster connection the best possible video quality their connection can handle. - Receive monthly checks from advertisers using our digital “add inject” technology. Years ago Internet Tv was considered a website with a video player. Today it encompasses so much more. Today internet TV/OTT/Live Streaming Services encompass not just the standard world wide web but also many different platforms each with its own unique audience. Each platform has its own unique audience. This is because certain people get accustomed to certain devices. Those that consume internet Television each have their preferred device to consume it. Not one device will represent the entire spectrum of viewers. This is why you will see large internet TV corporations with a app on each platform. They understand to reach the max amount of people they need to have their app (aka internet TV channel) on as many platforms/devices as possible. If you been in the OTT world for long then you are familiar with what a CDN is and bandwidth. A CDN is a connected network of high powered computers in a data center that specializes in video delivery. A CDN does two things; first it stores your video content and second it delivers the video to your viewers seamlessly without buffering or shutting down. A CDN has the proper server set up and configuration for video play out and delivery to tens of thousands simultaneously. Your bandwidth is what people are using to see your videos. For example if you have 100 viewers viewing your Internet TV station at the same time and your video is let's say 500 MB long each of those viewers is watching that video at a certain bit-rate. For example let's say 500 kB a second; Then there is a certain amount of bandwidth that has to be used in order for that video to display properly to all 100 customers at the same time. People naturally think that the bandwidth is coming from the viewers Internet service provider. Well that's true but the video also must be delivered to the Internet service provider. In other words there is specialized video server providing the heavy lifting to create a constant video upload to the viewer who is downloading the stream. So if you do not have a proper CDN and server configuration then the upload of the video content to those 100 simultaneous viewers will not take place, or if it does take place it will cause most of the viewers player to buffer continuously until they just close your site/app. Playlist Creation is the ability to take your videos and create a playlist where it will play one video after the next. These lists can then be “scheduled” to create the look and feel of a real TV channel. With our control panel we allow you to drag and drop the videos in the order you want them to play, name your palylist and then schedule your list. The beauty of this is that while one list is playing you can create and schedule multiple lists allowing you to set your schedule weeks in advance. Most of our customers create a media library inside their account by uploading all of their video content to their control panel and then using the media library to create playlists. Trans-coding sometimes referred to as Trans-sizing is the process in which we change the frame size. For example you have a 1920 x 1080 and you transcode it to 1280 x 720. Or vice versa. Why is this necessary? Lets say you are trying to broadcast a live stream or a playlist both on to your website (or your ROKU, Firetv etc...) and Facebook Live at the same time. Well FB Live only allows 720 and does not allow 1080. So if you are broadcasting at a 1080 Facebook will not re-stream this. Instead you will get an error. You either need to make sure your source stream is 720 or you need to have your 1080 stream Trans-coded on the fly (in real time) so that you have two outputs (streams) one for 1080 and a second stream for Facebook at 720. 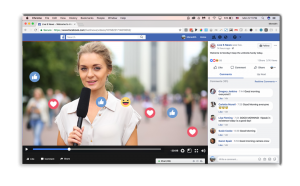 The transcoding on the fly is taking your original source stream of 1080 and creating a duplicate stream but at a lower frame size and bit rate that matches Facebook Live requirements. Lets first define what a Bitrate is: Bit rates is a very misunderstood topic. Many people confuse a bit rate with a “resolution” of a video. They hear the term “HD” and they think that describes it, however HD is a “video dimension” and not a indication of video quality. 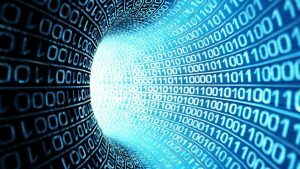 Put very simply the bit rate is the amount of data dedicated to a second of video. So, the higher the bit rate, the better the video quality. The higher the bit rate, the more bandwidth is needed to play back the video. And the higher the bit rate, the more data storage is required per second of video. Bitrate is the rate in which bits are transferred from one location to another. It is the measurement for how much data is transferred at a given time. The higher the bitrate of a video the faster the internet connection needs to be to both transmit and receive that video. Encoding is really the compression of the bit rate. Meaning taking a higher bitrate that is not suitable for the internet and compressing it to a lower bitrate that is more suitable. This can be done on the fly (while broadcasting a live stream) or when preparing a video for upload to use on a VOD platform. Video coming out of a camera is anywhere from 10Mbps to 100Mbps. These files are much to large for standard internet connections. The average connection speed in the USA is 18.7 Mbps (and much lower in other countries). So your videos need to be much lower than this or you will get buffering. Encoding compresses the video bit rate to a much lower bit rate (usually between 1.5 Mbps and 6Mbps) that is much more suitable for the internet. This makes it possible for viewers to see your videos. Multi Bitrate - With MBR, a few different streams, all with different bit-rates, are made available to the user. As the user clicks Play, the system performs a test to determine which bitrate is best suited for their situation. Once selected, however, the system will keep using that bit-rate even if the internet connection or bandwidth fluctuates. So in essence the system has several streams available, some for slower connections others for faster connections, the system does a quick speed test and provides the best stream/bit rate for the job. Many times companies will advertise they have multi bit-rate included in their service, preying upon the ignorance of consumers, however mutli bit-rate is NOT ADAPTIVE bit rate that can fluctuate on the fly based on your viewers connection speed. Live streaming: Your “live stream” can come from a “playlist” or a “live” event. Either way it is still considered a “live stream” because it is NOT a VOD. This is important to understand because many people associate the word “live” meaning that it is happening now. However the term “live stream” refers to the fact that the stream is coming live either from a playlist of videos or a live event and not a VOD. Streaming live is a service we specialize in. In fact you can have a playlist running and then interrupt that playlist with a live event stream, then when your live event has finished our servers will detect this and continue the playlist. This allows you to interrupt your playlist with a live event any time you please. Live Record - This tool is great for live broadcasts. This allows you to record the live broadcast in real time as you are broadcasting your even live. The recording of the live event will then appear in your online control panel. From there you can add it to a playlist or make it available via VOD. Great for archiving past events. Push Publish - This tool very few have but its very powerful. This allows you to broadcast simultaneously to your own online TV network (your website, Roku, FireTV etc..) and to Facebook, YouTube and Periscope. You can either broadcast your playlist or your live event. Either way this allow the MAXIMUM amount of exposure for a your channel and allows you to promote it across multiple platforms simultaneously. Add injection - We have partnered with ad agencies to create a digital injection of ads based on your viewing audience statistics. Meaning that we only show relevant ads based on viewer demographics. The more people watching your ads the more you get paid. This lets you concentrate on just making great content without having to find advertisers. broadcasting on your website, and/or build your own online TV network using our Roku, FireTV, Apple TV, iPhone Tv app, Android mobile apps and Smart TV aps. The more platforms you are on the larger the audience you can reach and the better opportunities to monetize your content.